Against the gallery-white walls of an apartment in Havana’s residential neighborhood, El Vedado, various sheets of photographic paper (50 x 75 cm)—some hanging vertically, others horizontally—display amorphous shapes in glowing cooper, brunt amber, and gradations of black and white. Both sharp and blurred outlines mark areas of luminescent depth and opaque flatness, while other areas are marked by their texture, cracking and bubbling surfaces. The images are from a series titled Trauma, and the subjects of their compositions—if such a thing were possible to identify—are photochemical reactions, oxidation stains, fungal proliferation, damaged emulsion: in short, photographic wounds and scars. Behind diaphanous veils of mold or wedged between water stains, we find the silhouettes of people and landscapes, the original subjects of the photographer’s lens. This series by Joan Fontcuberta (1955, Barcelona) might be understood as documenting the decomposition of recognizable form and the becoming non-referential of the photographic image. Those bruised parts of a picture that we tend to lament for their contaminating and obfuscating the historical datum or aesthetic composition of a photograph are enlarged and placed at the center of our attention. In contradistinction to the Catalan’s photography, Havana-based artist Leandro Feal’s (1986, Havana) crisp black and white photographs hang in the adjoining room. His images are large (100 x 61 cm) and sharply focused—a classical photography that draws the viewer in with frames of the interior of a room, the curvilinear lines of a car’s exterior, or a museum artifact like a 19th century painting. Leal gives us modernist still-lifes that quietly allude to the absence of people through the literal and yet enigmatic presence of its objects. The exhibition, curated by Iván de la Nuez—a well-respected Cuban essayist and art critic who now resides in Barcelona—is titled Blowup (December 2016–February 2017). A piece with the same title by Fontcuberta hangs suspended from the ceiling in a third room, dividing the space in two with giant sheets of photographic paper. Its pixels have been so enlarged its form is unidentifiable; we see black and white spots that appear like the static on a television screen. The show as a whole brings into question visibility; it draws our attention to the imperceptible. How one chooses to move across the gallery space, in front or behind the curtains of blown-up pixels implicates the viewer in a performative aspect of the exhibit. One becomes self-conscious as to how he or she engages the art object: a distanced contemplation, or a blurry up-close view. The question of engagement and how we inhabit designated art spaces is further posed when we consider the non-conventional location of the exhibit. 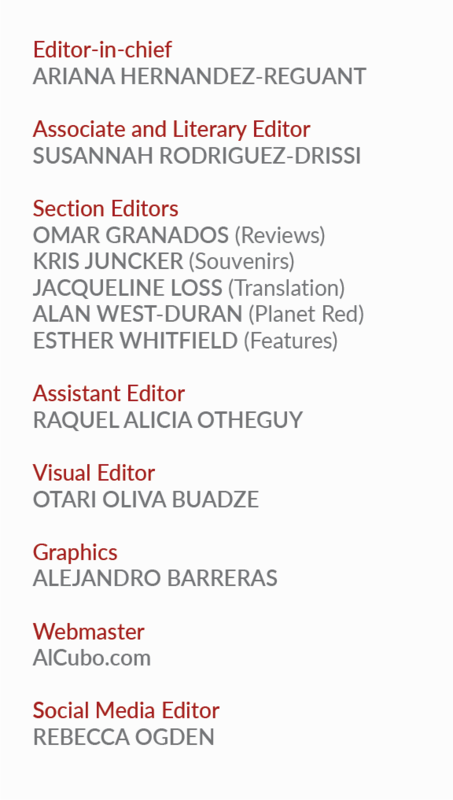 El Apartamento, described as a “galería-taller”—a necessary hyphen, since private galleries per se are not yet sanctioned in Cuba—is located in apartment #313 in a residential building on the corner of Calle H and 15. Without these coordinates the space remains unmarked to passersby. Arriving at the exhibit’s opening night, I had the feeling of crashing a private party, a very lively one that could be heard and seen from down the street, as people crowded its outdoor balcony. In attendance were other artists, curators, academics, friends and family. This is perhaps more notable when we consider a space like Fábrica de Arte (FAC), about twenty blocks away from El Apartamento. The repurposed factory made multi-media event space has become a top destination for tourists and with good reason. The same night as the opening for Blowup, FAC screened a documentary as part of the Nuevo Cine Latino Americano film festival and hosted a jazz concert, in addition to its several galleries of visual art. Opening its doors from 8:00PM to 3:00AM, it is also a popular place to drink and socialize. Perhaps because of the scope of the space, the art on exhibit seemed to lack a curatorial cohesiveness, with a mix of works that were both compelling and a bit commercial. Once again, how we view the work, detain ourselves in specific areas, and move through the gallery space becomes an element of the installation. Various canvases lined up together form a wall of an impasto surface and fauvist color palette, displaying upside down human figures, countless disembodied heads, and gestural geometric shapes. 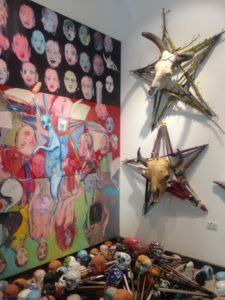 On the ground, the heads proliferate in three-dimensional space as ceramic sculptures and, on the corner wall above, weaved branches in the shape of stars frame the skeletons of bulls’ heads. The installation is a mix of the ecstatic and the macabre, of ritual and art. These non-government sponsored art spaces appear to be cropping up throughout the city in diverse ways. Espacio Altamira, also located in an apartment building in the Vedado, describes itself as a dynamic “Studio-Taller” created in collaboration with its neighbors. While these places provide artists and curators with alternatives to state institutions, establishments like the Museo National de Bellas Artes and the Unión Nacional de Arquitectos e Ingenieros de la Construcción de Cuba (UNIACC) are not lacking in provocative and important exhibitions. As part of the Italian Galleria Continua’s project to bring international artists to work and exhibit in Cuba, the artist Michelangelo Pistoletto (1933, Biella, Italy) produced a series titled Cuba Mirror Paintings for the Arte Universal branch of Museo Nacional de Bellas Artes. On the ground floor of the former Centro Asturiano—an early twentieth century palatial building where Arte Universal is housed—are Pistoletto’s life-size color photographs taken of Cuban people on the street engaged in daily tasks, silkscreened over supermirror stainless steel. Essential to the exhibit (December 2016 – March 2017) are the museum staff’s instructions to guests that they may and are encouraged to photograph the works by Pistoletto. The museum’s permanent collection of ancient Greco-Roman, Egyptian and Northern Renaissance art, on the other hand, remains off-limits to visitors’ cameras. In photographing these photographs, one is inevitably reflected on its mirrored surface. Here, the performative aspect of how we engage with art objects and the question of visibility are made explicit. Alongside the silkscreened figures of people on the street, we see ourselves reflected within the space of the museum gallery. Arte Continua, the Havana offshoot of Galleria Continua, organized an exhibit in the UNIACC, titled Nido sin árbol (November 2016 – January 2016) with twelve contemporary Cuban artists. Set within an establishment dedicated to architecture, the exhibit was conceived as “an homage both to an architect, Francisco Bedoya [1959, Havana – 2002, Madrid], and to a virtue: generosity.” Nido sin árbol’s press release further describes itself as an invitation to “artists and the public to complete an image providing the main support to a nest: the tree. More than being nourished by certainties, this show, from its very title, is fed by questioning the nature of things.” The late architect’s drawings of historical buildings in Havana that have transformed with time, no longer stand, or were never realized beyond their blue prints, call on us to see what remains invisible like a virtual potentiality. 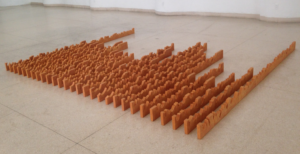 On the ground near the display cases of Bedoya’s drawings are rows of an alphabetical script made out of clay bricks. The three-dimensional text, however, is illegible, for only the bottom half of the letters have been sculpted. The piece, titled Beso en tierra muerta, is by Elizabet Cerviño (1986, Manzanillo, Cuba) and the content of the text is a poem reproduced on the museum’s wall label. As such, viewers may choose to detain themselves and practice some literary analysis or skip the content and move forward with the exhibit. Meanwhile, the illegible script on the floor appears as stylized waves, concave curves that incite one to imagine its missing half or simply enjoy the aesthetic quality of its lines. At the end of the gallery, raised on a red wooden platform, is a massive chalkboard almost completely covered in layers of scribbles, doodles, misspelled words, and blurred messages. On this stage-like platform, with steps for visitors to walk up, are countless small white figurines. The statuettes are in fact made out of chalk and cast in mass-produced molds, such as Cuba’s patron saint, La Virgen de la Caridad del Cobre, cherubic angels, cats, Venuses and gnomes. Guests are encouraged to select one these figurines and draw on the board. The mass produced casts are deformed as we use them to inscribe the board/palimpsest with whatever comes to mind. But to do so, one must first walk up the red stage, highlighting the performativity and centrality of our interaction with the piece. Titled La educación sentimental, Luis Enrique López-Chávez’s (1988, Manzanillo, Cuba) chalk board is not unlike Pistoletto’s mirrors or Fontcuberta’s contaminated photographs: through a different register, each draws upon our relation to the object where a continuous transformation occurs and perhaps, for a brief instance, dominant modes of perception are interrupted. I would like to end with a show I did not attend and yet its conceptualization, as elaborated by its curator Beatriz Gago, beautifully encapsulates my experience of art consumption this past December in Havana. My inability to experience the show first-hand fittingly corresponds to the curator’s intention to create a curatorial “failure,” challenging previously held “pacts” between spectators and the act of exhibition. Encomienda, which opened on May 9, 2014, was situated in a structure now called Casa de la Cultura de Playa, which was originally built as a Protestant church in 1958. Given the events of the Revolution, the building—a spectacular specimen of modernist architecture—was never consecrated, and has served a variety of different functions, such as a storage facility and even a nightclub. In its most current iteration as a community cultural center, Gago and a group of contemporary artists—one of who worked remotely from exile—produced works that integrated the architecture and its surrounding environment. Rather than rely on the center gallery, artists highlighted spaces such as paths of desire, abandoned patios and exterior architectural features. The pieces were both monumental and subtle. They were so well integrated into the ecology of the space, and such was their capacity to escape notice, that visitors were provided with a map that located each installation. The show, one might say, creates a new cartography that brings our attention to the imperceptible. What I had observed in the shows I attended and the proliferation of exhibition spaces in Havana was indeed a new cartography that conspired to imagine in the invisible, to bring to the foreground potentialities and relations conventionally unperceived.